Golden Dreams will take your standard Apple Watch to new levels of class. If you like the look of the high-end Apple Watch Edition, but the $10,000+ price point makes your heart and wallet hurt, a Swiss company might have a nice alternative for you. Golden Dreams of Geneva specializes in classing up iPhones, cases, and bags, and it’s turned its monocle-rimmed gaze to Apple’s new smartwatch. The company can take a standard version of the wearable and make it fancy at a fraction of the cost of its more precious sibling. 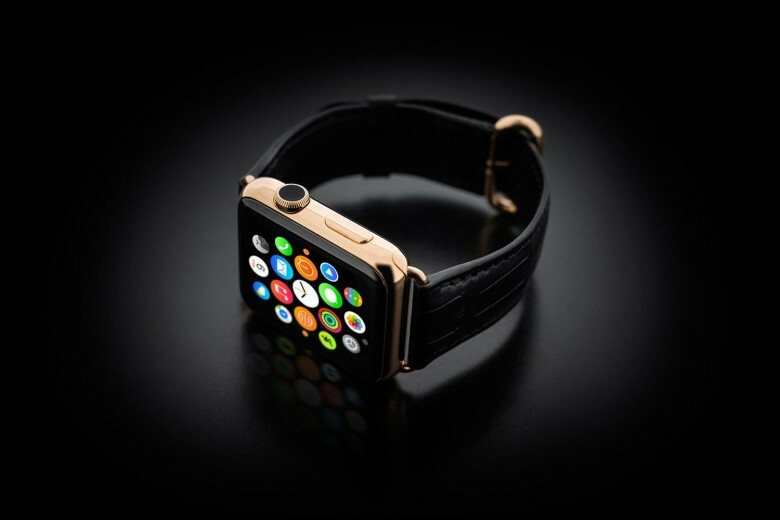 The Apple Watch section of Golden Dreams’ website advertises “the latest technology fused with traditional Swiss watchmaking.” What this means is that the customizer will start with either the 38mm or 42mm stainless-steel version of the Apple Watch (which sells in the U.S. starting at $549 and $599, respectively) and plate it with either yellow, rose, or “understated” (read: as silver in color as the Watch itself) white gold and then offer a few other stylish options with it. They can engrave it, for example, or hot stamp the band. And speaking of bands, the company boasts 160 different colors of watch straps made from alligator, ostrich, snake (including python), or shark. I’m not sure I was even aware that “ostrich leather” was a thing, but now that I’ve seen it, it’s not for me. Looks a little pimply. and $3,650, but that’s still way lower than one might expect. Golden Dreams says that supply issues are causing a 4-week waiting period, but that’s still better than the times people had to wait for the regular Apple Watches when they launched back in April. Considering some of the drama and tension people have put on Switzerland since the announcement of the Apple Watch, like the possible effect on exports and some words of doom from Apple design guru Jony Ive, it’s interesting to see a Swiss company embracing the new tech and putting its own stamp on it. And while I still can’t afford one of these damned things, they are pretty gorgeous.